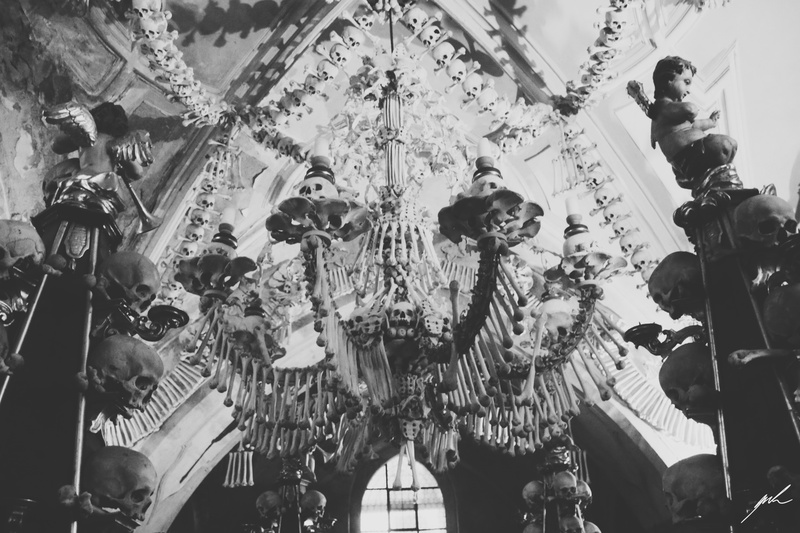 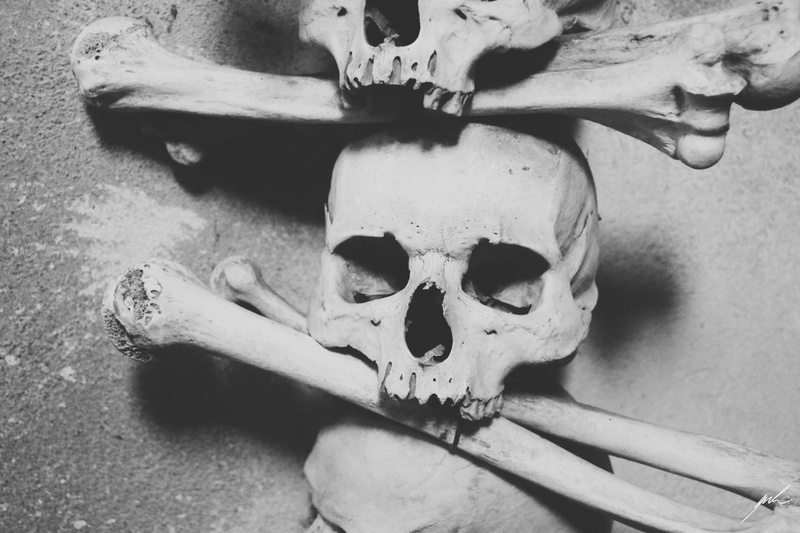 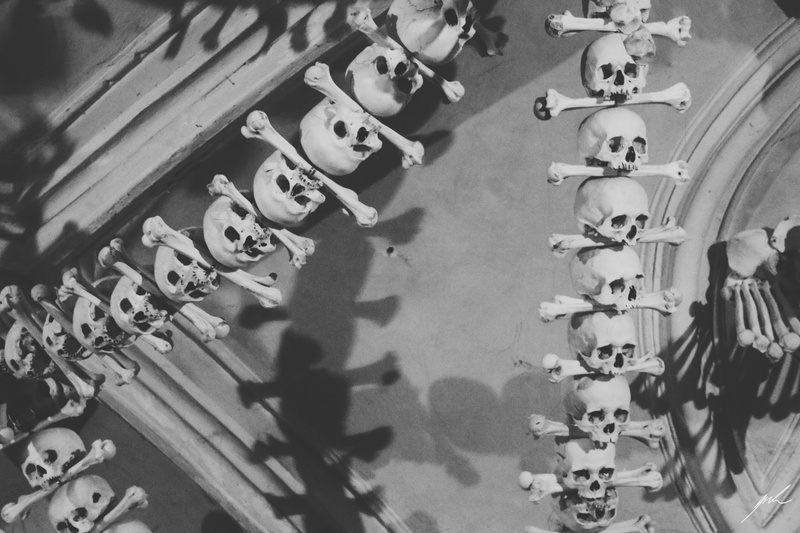 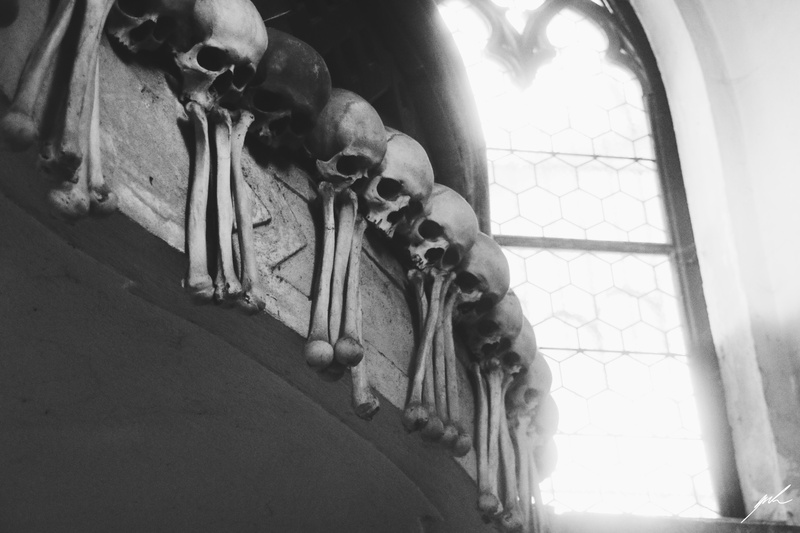 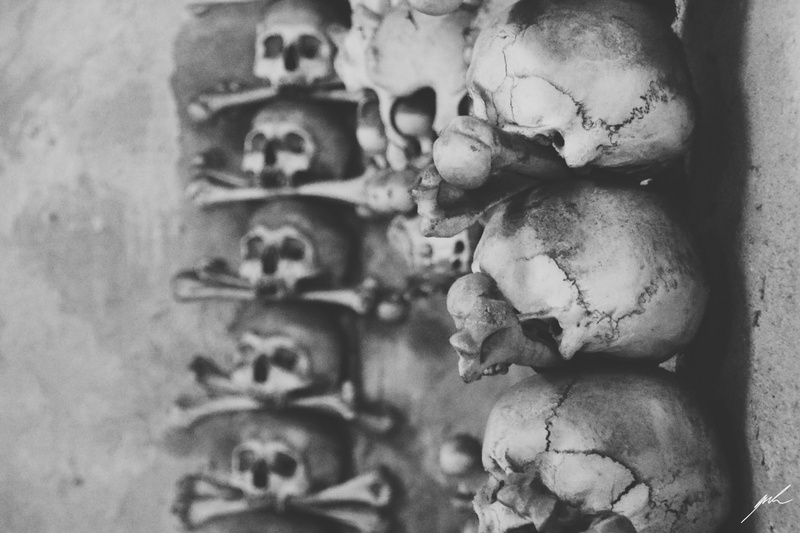 The Bone Chapel in Kutna Chora, Czech Republic can truly be a frighting place for some people. 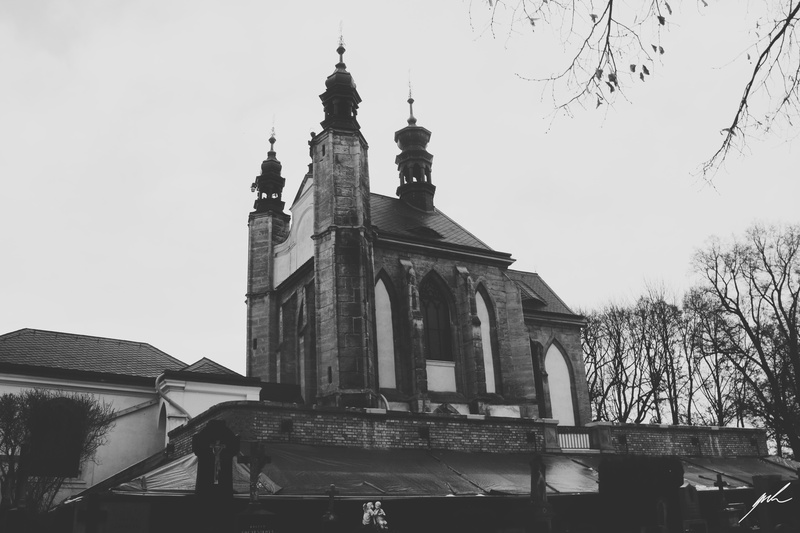 It is a Catholic church in a small town just one hour away from Prague with a very particular interior. 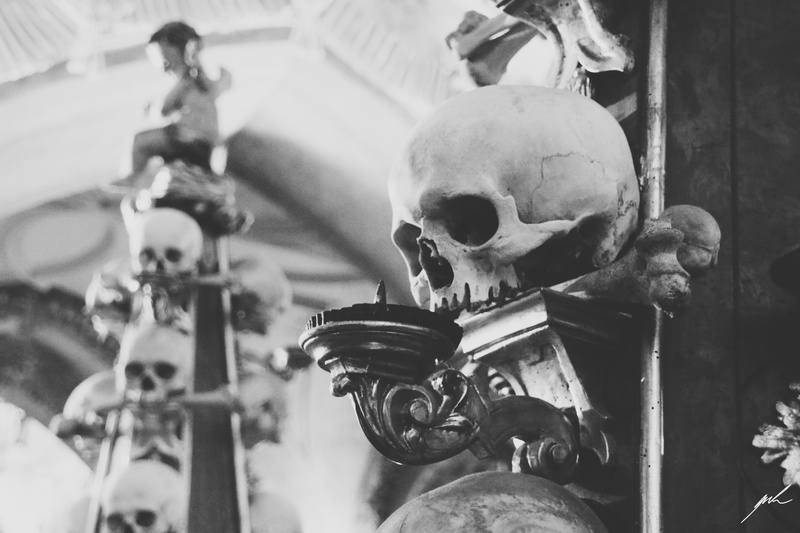 The remains of 40,000 to 70,000 people decorate this chapel. 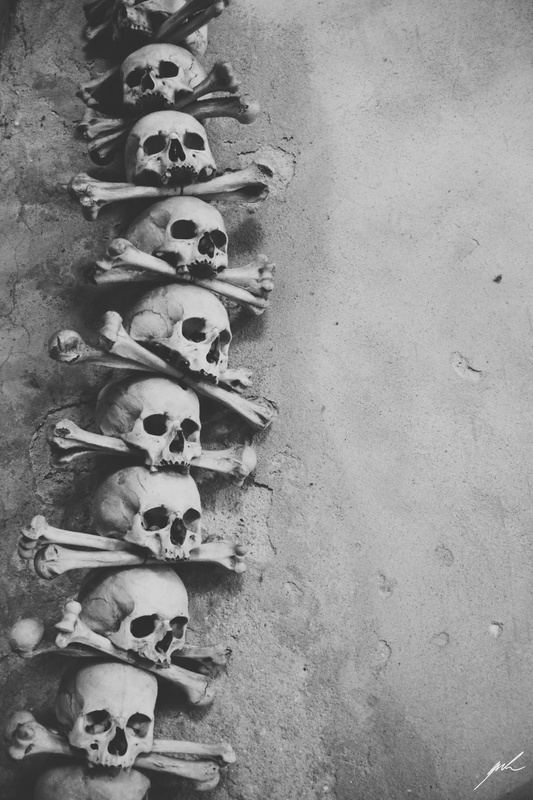 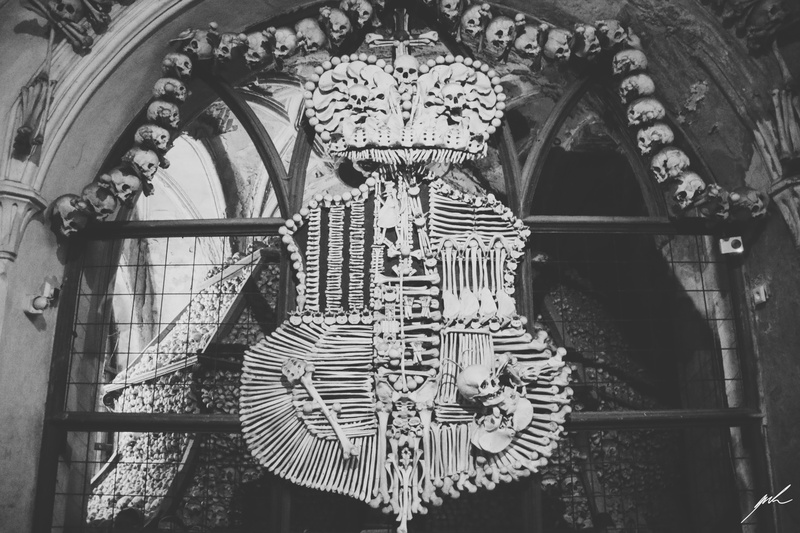 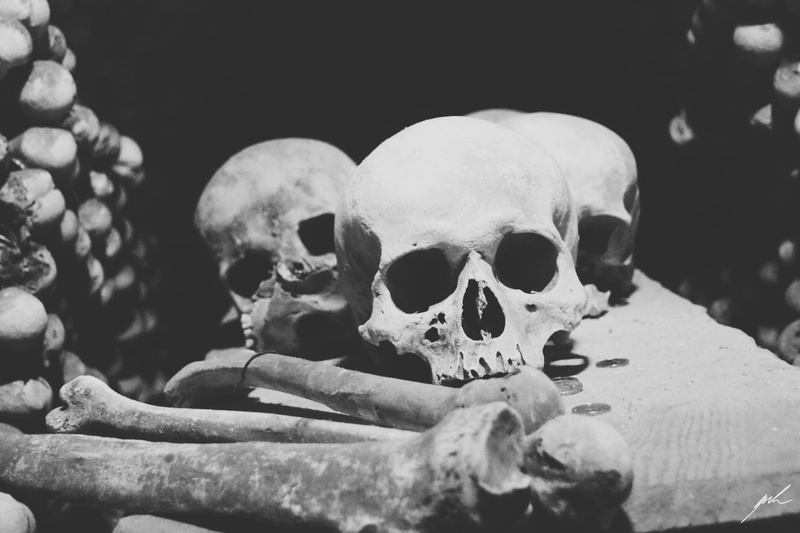 Like in a Castlevania game there is an enormous chandelier of bones, which contains at least one of every bone in the human body, there is also a coat of arms made out of human remains and many other oddities. 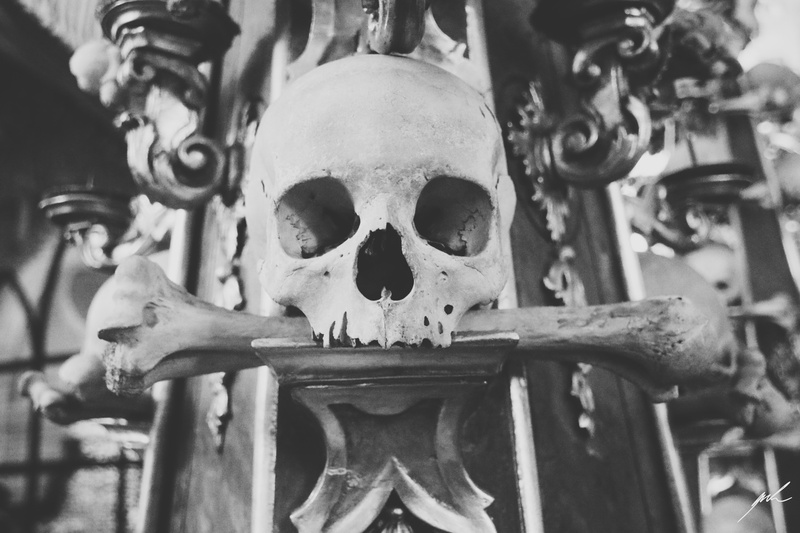 Come down with me and take a look at this very special place – but beware of the walking skeletons!